After a slew of heavyweights on Osiris Music and Black Box, Biome links with Demon on his 2nd Macabre Unit recording. 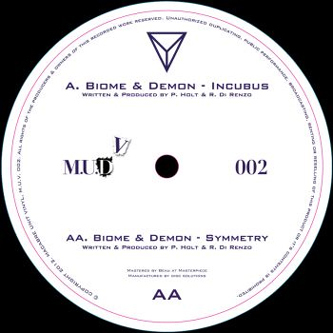 'Incubus' plays out dramatic intro into neuro-D&B-style synth licks and spine-snap halfstep dynamics. 'Symmetry' follows on a darker, minimal tribal tip accentuating skull-glance snares and tightly wound drums on divebombing subs.